Largest of its kind and located among the lush central highlands surrounded by the Mahaweli river, this botanical garden is a haven for the many flora species that thrive on the island. Known as the royal botanical gardens this attraction was once separated to the royalty in Kandy as it was the court of King Wickramabahu III in 1371. Later British colonization saw this botanical garden open to the public and further elevated with an addition of many floral species. During World War II the gardens were used as the South Asian headquarters for the allied forces. The garden has two cafeterias one serving Western and Sri Lankan food and another kiosk near a gate. The garden attracts thousands of fruit bats, monkeys and a copious number of canoodling couples. This garden hosts plants from around the world that range from nurseries to florae which are over a century old. Significant attractions within the park include the orchid gardens, the avenue of royal palms and the giant Javan fig tree that dates to 1371. 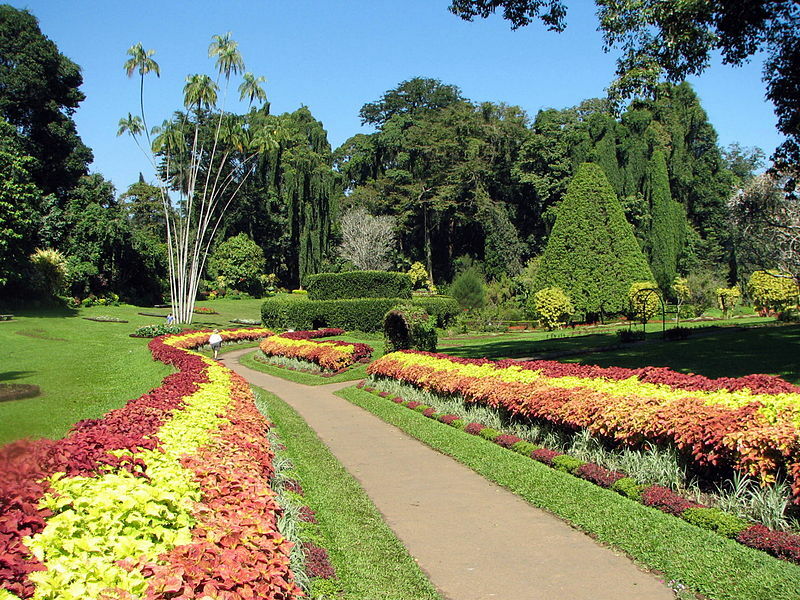 The Peradeniya botanical garden is just five kilometres outside the Kandy city centre. Within Kandy, hotels quickly book up during the festival of the scared toot relic, so it is best to opt to book an accommodation on the outskirts of the town such as Mahaweli Reach Hotel.